Ledebouria revoluta has many different growth forms. 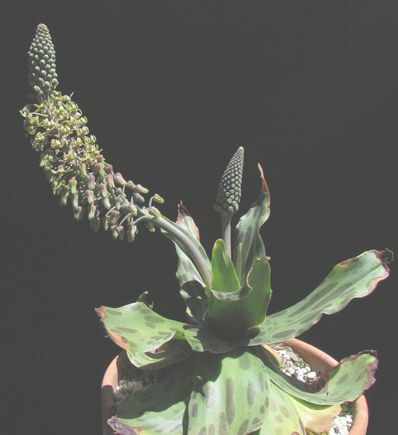 It grows to 15 cm with triangular leaves forming a rosette. The leaves are variously spotted or blotched with red to purple. The purple and green flowers with recurved tepals are in broad racemes.